Like its neighbours, Rwanda and the Congo, Uganda is famous for the incredible Mountain Gorilla, massive lakes, endless national parks teeming with game, as well as troops of Chimpanzees. 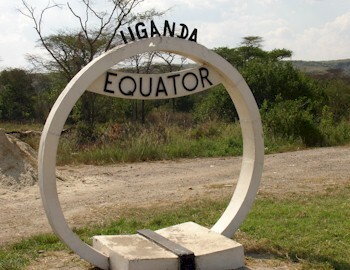 Uganda is also home to high glacial clad peaks like Mt Marghuerita also known as the Mountains of the Moon. From the thundering Murchison falls to Queen Elizabeth National park, Uganda is an adventure enthusiasts dream. The Bwindi forest is a very thick lush tropical forest on steep sides slopes and so tracking the gorilla can be a lot harder going than in Rwanda. It is far more challenging because of the hills and can take anywhere between 3 and 10 hours in total, from start to finish. On the odd occasion, one is lucky enough to find the gorilla quickly, particularly if they are on the lower slopes. Visit the thundering Murchison Falls, go in search of tree climbing Lions, and immerse yourself in tranquil boat trips in search of bird life. Journey into the heart of the Mountain Gorilla territory in the Bwindi National Park to visit the incredible Gorilla in their mountain habitat. 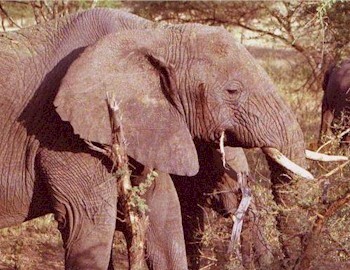 Take in the best that Uganda and Rwanda have to offer, from National Parks,. 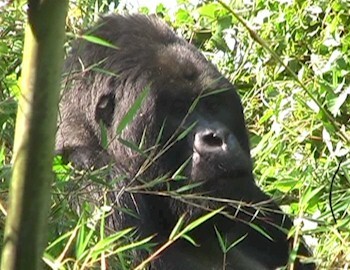 top Rhino and chimpanzee tracking, to the Mountain Gorilla in Rwanda.